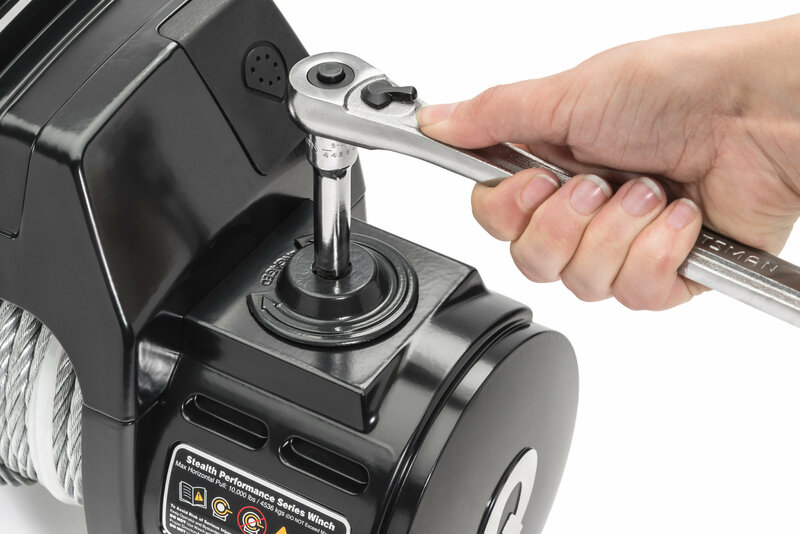 Save up to $150! when you buy a Quadratec Winch Ready Bull Bar Bumper & Quadratec QSeries Stealth Winch! 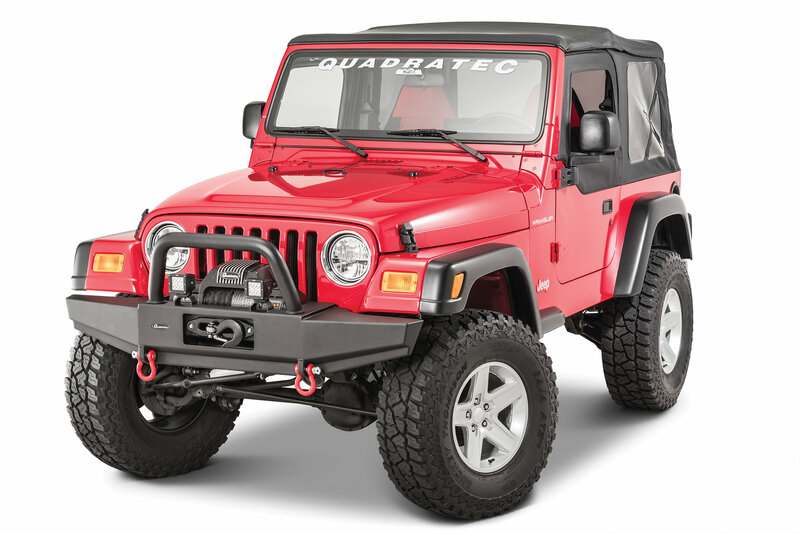 Quadratec’s Winch Ready Bull Bar Bumpers feature a fully welded one piece steel construction using 4mm thick steel plate and a 3” diameter mandrel bent grill guard hoop that’s removable. 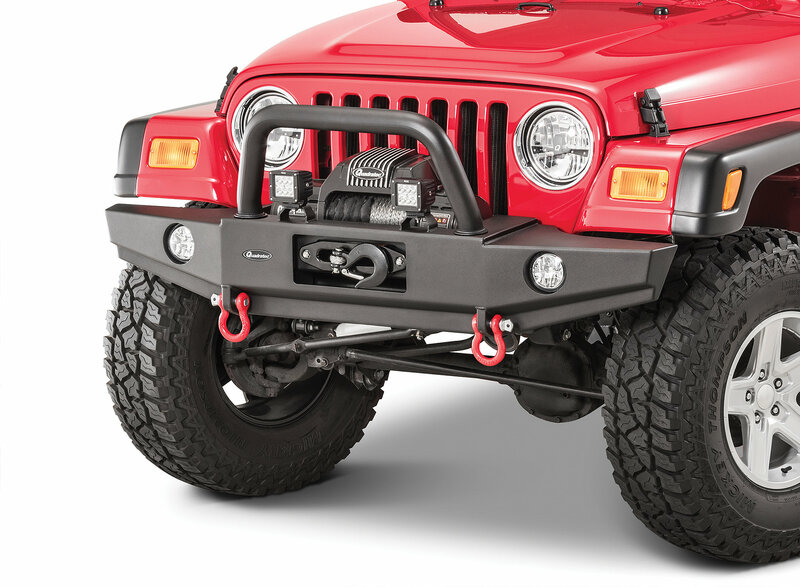 Our aggressively styled Winch Ready Bull Bar Bumpers measure 61.5” wide and bolt directly to the vehicle’s existing mounting points and feature fully integrated 6mm thick steel winch plates. Winch plates accept all popular winch brands and there’s no drilling or modifi cations required. All fog lamps kits sold separately. 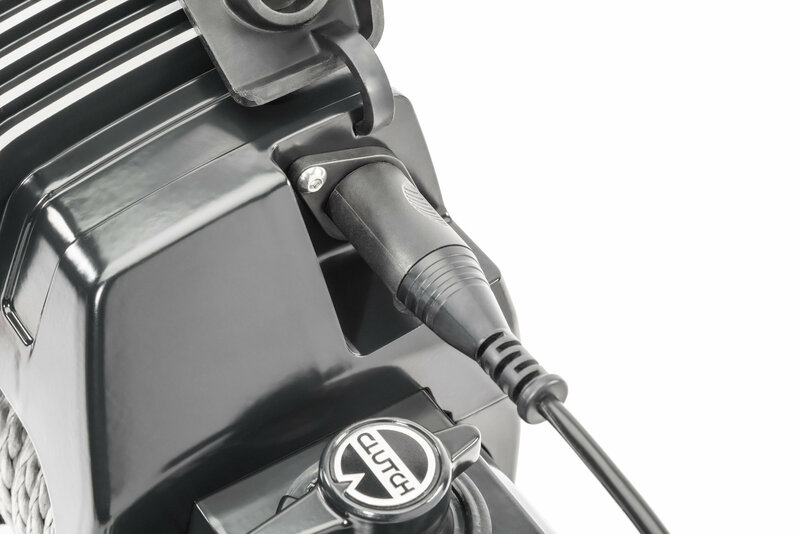 Additional features include welded light mount tabs and 1” thick D-Ring tabs for ¾” D-Rings with 7/8” pins. 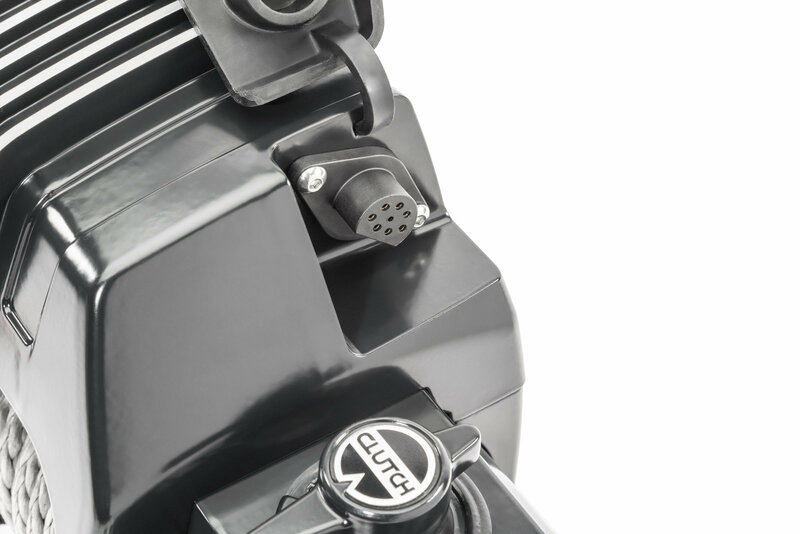 Three Year Limited Warranty. 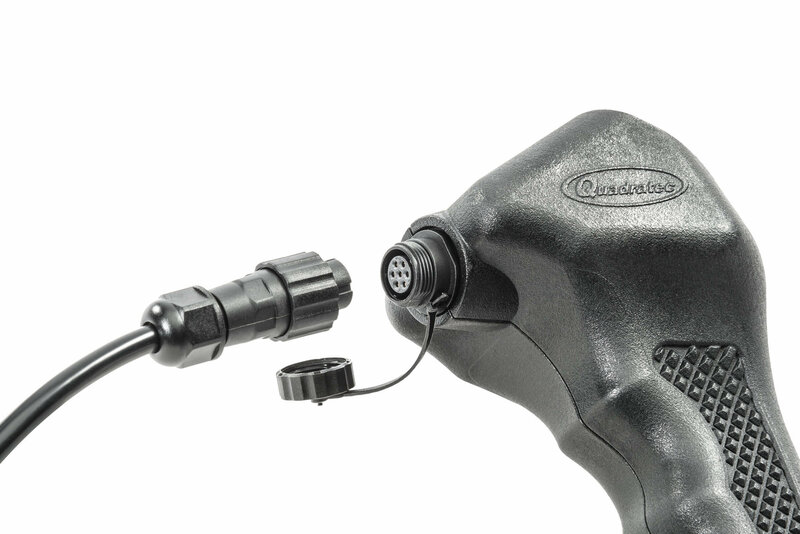 Quadratec’s all NEW Q-Performance Stealth Winches are waterproof and submersible with an IP67 rating. 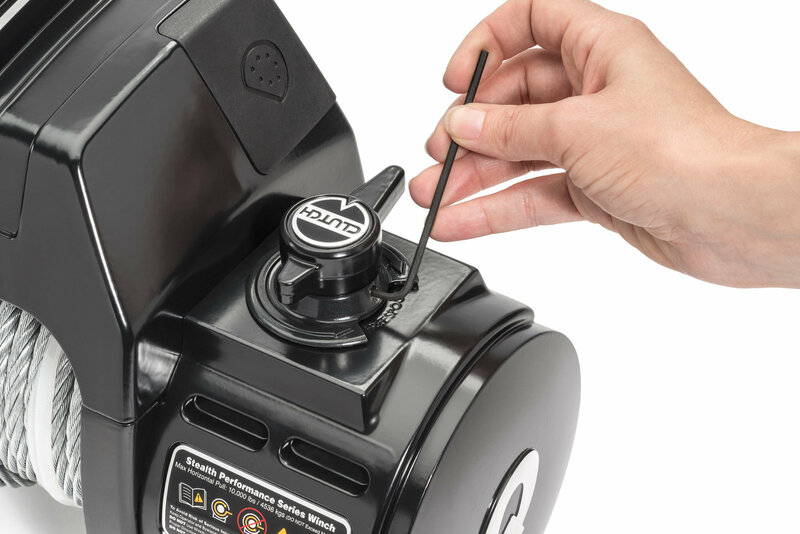 The wireless remote control adds convenience, safety and long range winching when outside the cab. Waterproof, wireless, illuminated, durable, affordable. Next Generation Q-Performance Series winches are weather and dustproof for the ultimate in reliability. 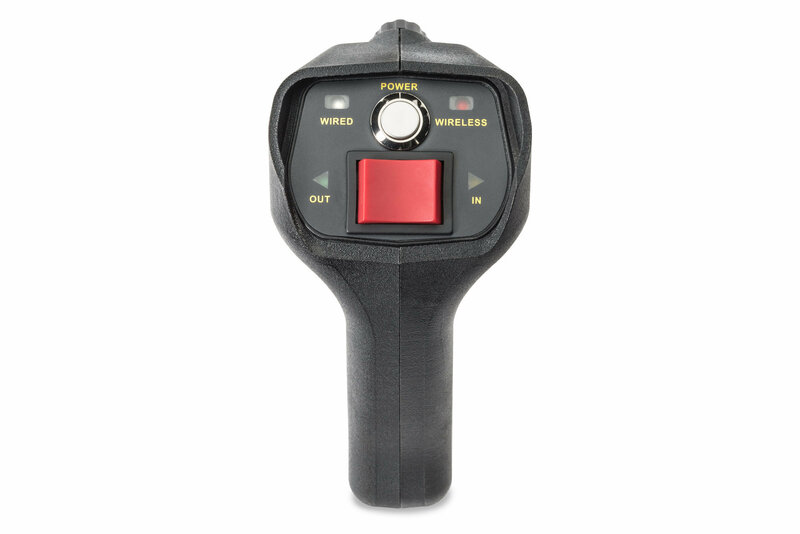 Solid State Wireless Remote Controller Functions both Wired and Wireless for the Ultimate Convenience. 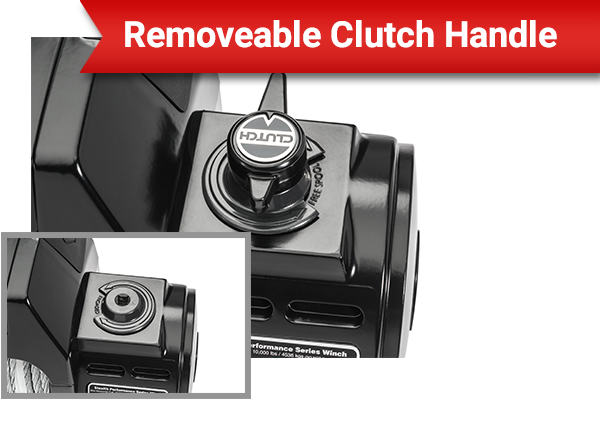 Die cast finned aluminum solenoid housings dissipate heat during winch pulls while providing high end style and durability. 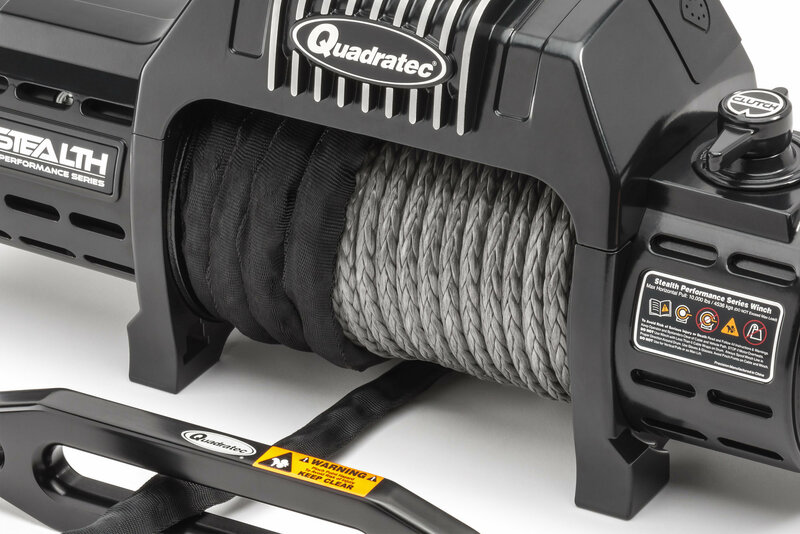 Q-Performance winch synthetic rope is lighter, stronger and safer than comparable steel winch cable. 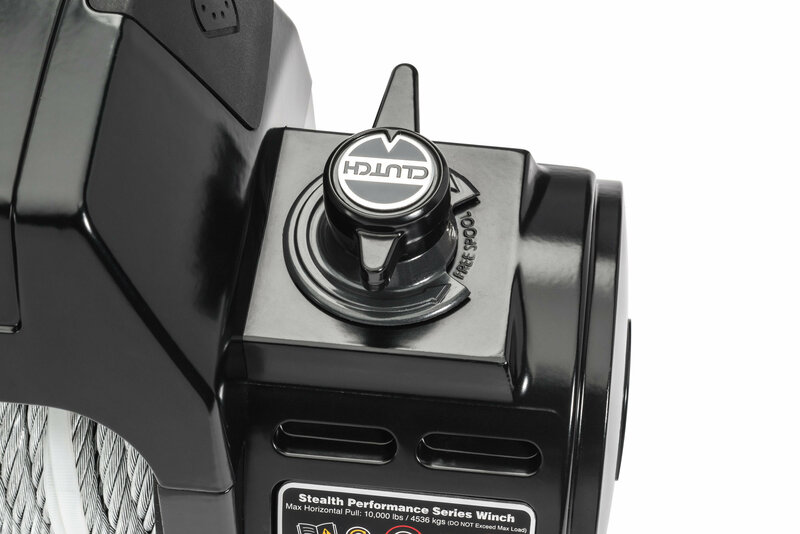 Quadratec's unique hidden hardware design feature gives the Stealth Q-performance Series Winch a smooth and seamless look. Synthetic Rope or Steel Cable: Steel cable has been used in winches for decades. 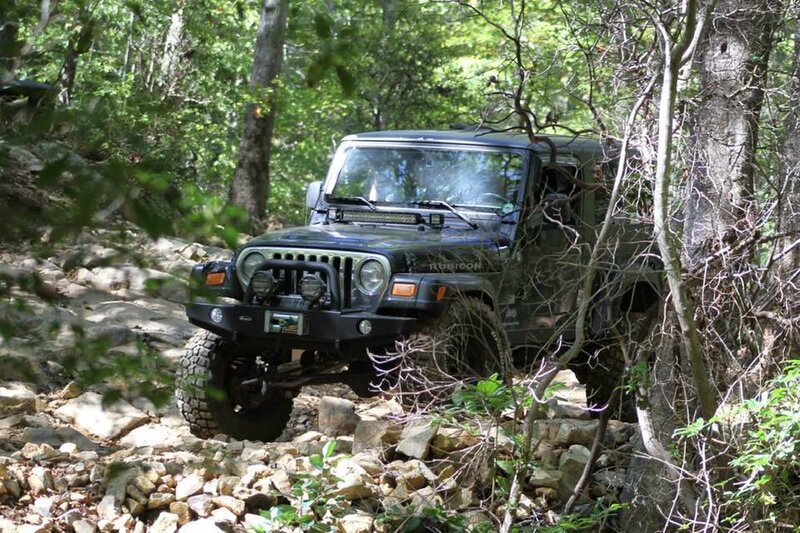 It's an affordable choice that's well known among off road enthusiasts. Synthetic rope is a high tech new solution that is both lighter and more durable than steel. Synthetic lines are easier to handle and do not rust or kink like steel lines do. Synthetic lines are safer too since they don't snap with dangerous recoil energy like a steel cable can. 10,000 lb or 12,000 lb Pull Rating: A 10,000 pound pull rating can move more than double the weight of a 4-door Wrangler, which makes it the perfect choice for most people. 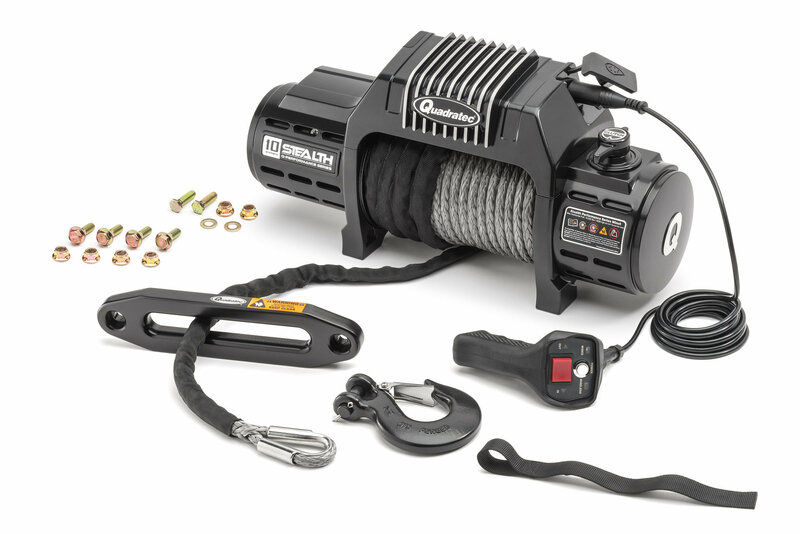 The additional 2,000 pounds of pull in the 12,000 pound winch can be helpful for extra sticky situations like deep mud, or helping friends with very heavy off-road trucks. IP67 Rating: Have peace of mind knowing that if your winch gets wet while you are out on the trails it will not fail you. 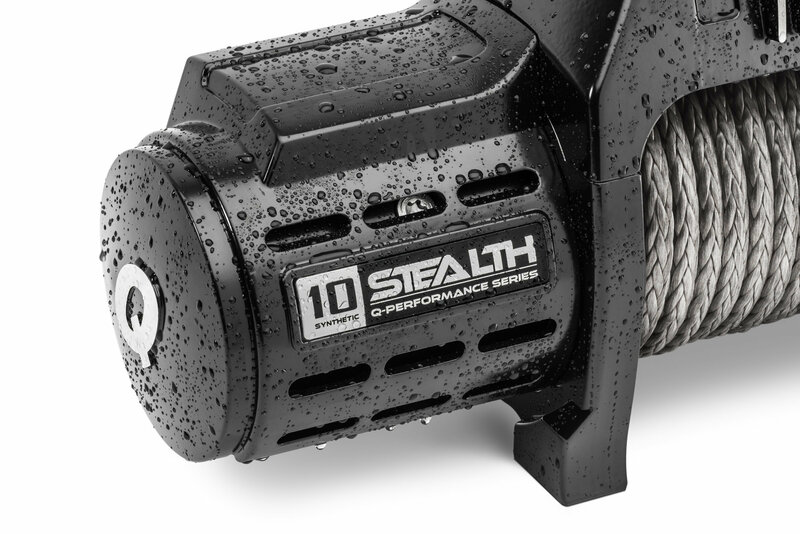 This winch is waterproof and submersible in water up to 3 feet for 30 minutes as well as being able to withstand dust, dirt and sand. Clutch Handle: Our Patent Pending removable Clutch handle doubles as a "key" that can be temporarily removed to deter winch line theft, vandalism & pranksters. 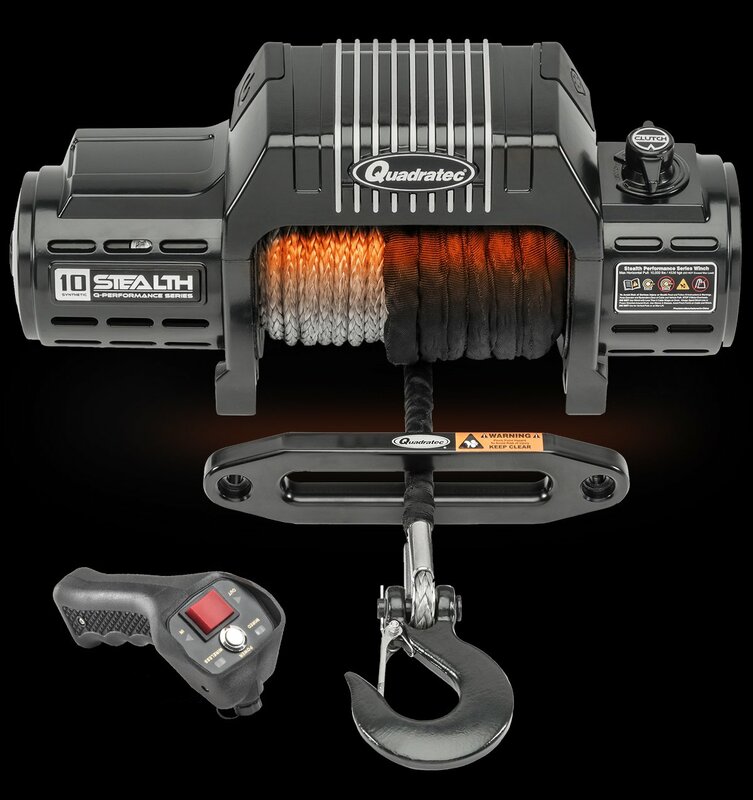 Fairlead Included: The Q-Performance Stealth Winch includes a roller fairlead with the steel cable option or a hawse fairlead when you select synthetic line. 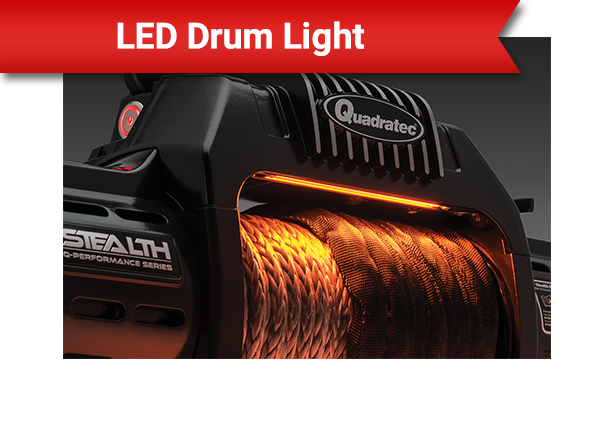 LED Winch Spool: The Q-Performance Stealth Winches feature a unique LED winch spool light strip that is activated when the winch is in use so you will be about to see it working in the dark & will time out after 10 minutes of no use. Installation was easy, Fit and Finish is Great! Winch works great too! It's taken a few bashings on rocks and trees and has held up Great!